"cSwing is simply the best value and the most user friendly swing software I have ever seen. I have been using motion analysis software for over 6 years and have seen many companies come and go with many different approaches. cSwing has it all and more. As a coach of players with abilities varying from beginner to touring professional, I can't pay the speed and ease of use it offers a high enough compliment. When you combine all this with the great one on one help from cSwing support, cSwing is the ONLY software both professionals and amateurs should consider buying." 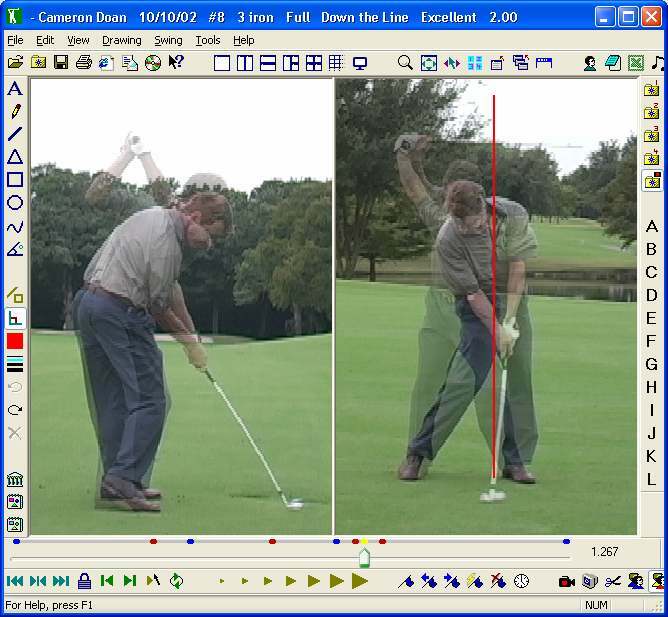 "Swing comparison using multiple windows, lines, curves, swing path, colors, layers, easy trim... I'm quite surprised at the diversity functions at an affordable price. It is all there. It is easy to draw and comparing with pros is easy too. The Player's Notebook reminds you about your previous lessons. It helps you progress rapidly. And I'm amazed that this software keeps getting better with each release. I believe this tool is perfect for teaching pros and everyone who quests for a good swing." Professional, affordable golf swing analysis software. cSwing is an advanced video swing analysis program for avid golfers and golf professionals. It captures video from your camera to your PC. You can easily analyze your swing with its powerful drawing and comparison tools. Seeing your swing alongside pro swings provides immediate visual feedback that will result in lower scores. We offer easy-to-use, full-featured software available by download or on DVD. We give you a complete suite of tools and pro swings to help you or your students improve. Get started right away by downloading our Free Trial which includes sample swings. Check out our Swing Library that includes more than thirty PGA Tour players including three Major winners. Explore our web site to learn more about the features of cSwing. We are confident that you will find that we offer superior value, features and service. Copyright © 2012 cSwing, LLC. All rights reserved.